Vegetation cover is a commonly used indicator for evaluating terrestrial environmental conditions, and for revealing environmental evolution and transitions. 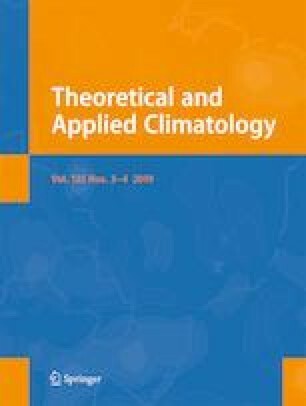 Spatiotemporal variations in the vegetation cover of the Hexi Corridor and surrounding areas from 2000 to 2010 were investigated using MODIS NDVI data, and the causes of vegetation cover changes were analyzed, considering both climatic variability and human activities. The vegetation cover of the study area increased during 2000–2010. The greenness of the vegetation showed a significant increase from the northwest to the southeast, which was similar to the spatial distribution of the annual precipitation. Variations in vegetation have a close relationship with those in precipitation within the Qilian Mountains region, but the NDVI is negatively correlated with precipitation in oasis areas. Increasing temperatures led to drought, inhibiting vegetation growth in summer; however, increasing temperatures may have also advanced and prolonged the growing periods in spring and autumn. The NDVI showed a slight degradation in March and July, primarily in the Qilian Mountains, and especially the Wushao Mountains. In March, due to low temperatures, the metabolism rate of vegetation was too slow to enable strong plant growth in high elevations of the Qilian Mountains. In July, increasing temperatures enhanced the intensity of transpiration and decreasing precipitation reduced the moisture available to plants, producing a slight degradation of vegetation in the Qilian Mountains. In May and August, the NDVI showed a significant improvement, primarily in the artificial oases and the Qilian Mountains. Abundant precipitation provided the necessary water for plant growth, and suitable temperatures increased the efficiency of photosynthesis, resulting in a significant improvement of vegetation in the Qilian Mountains. The improvement of production technologies, especially in irrigation, has been beneficial to the growth of vegetation in oasis areas. The implementation of large-scale vegetation management has led to several beneficial effects in the artificial oases and grasslands of the Qilian Mountains. The online version of this article ( https://doi.org/10.1007/s00704-018-2437-1) contains supplementary material, which is available to authorized users. We would like to express our sincere gratitude to the editors and reviewers, who have put considerable time and effort into their comments on this paper. We are grateful to the professional editing service (Elsevier Language Editing Services) for improving the language in our manuscript. This work was supported by the National Natural Science Foundation of China (Grant No. 41671188).